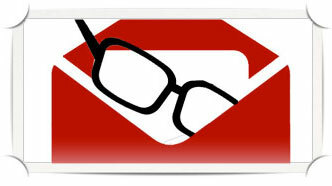 It's Simple, MAIL IN your broken glasses and we will fix them for you the same day! Collin Creek Eye Clinic has access to large stock of repair and replacement parts, we source many of our components from the original manufacturers. We carry a huge inventory of both current and discontinued designer parts. All repairs are passed through our Quality Control Department for a final check that ensures the work reaches our own high standards and any specific requirements of the customer. The quality of every repair is very important and therefore each frame passes through a rigorous set of checks before it can be returned to the patient. Collin Creek Eye Clinic –Repairs is a division of Collin Creek Eye Clinic which has been established for over 10 years and has their own repair facility . Our mission is to rescue your favorite eyeglass frames in a fast, convenient and affordable way from the doorstep of your house. Our skilled craftsmen can perform these repairs to your eye glasses with superb results with minimum discoloration. 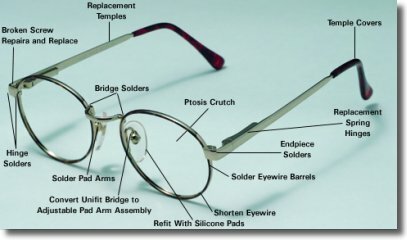 I Fix Glasses is dedicated to eyeglass repair, sunglass repair, frame repair, eyeglass maintenance and more. We look forward to serving you repair needs.